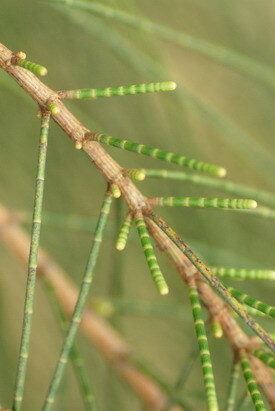 The leaves of Casuarina equisetifolia look like needle, they were originally board leave. 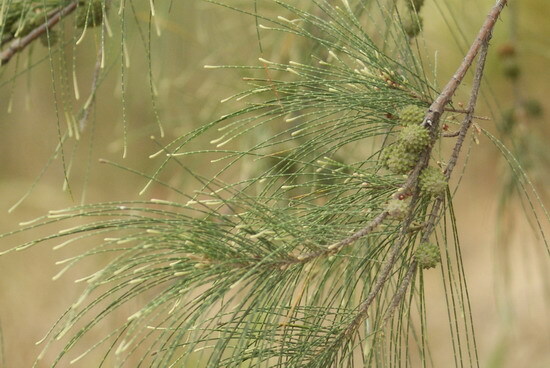 However, its appearance, leaves and fruits became pines like species due to some uncertain reasons. According to Flora of Hong Kong Vol. 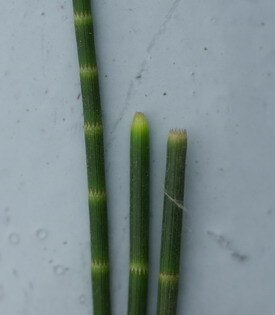 1, there are two types of Casuarina spp. : C. cunninghamiana and C. equisetifolia in HK. The former is dioecious and the later is monoecious. The fruits and the male flowers shown in the picture clarify itself the C. equisetifolia. 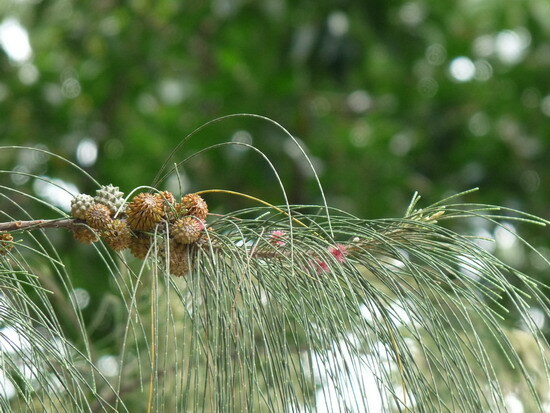 Casuarina equisetifolia is called Horsetail Tree in its common name. And its Chinese common name is ‘oxtail pine’"牛尾松". How can a horsetail in Chinese become an oxtail in English? Definitely it is the Hong Kong culture! P.S This tree is also found in Macau, but its Chinese name is "馬尾松"‘Horsetail Tree’, which is more reasonable.